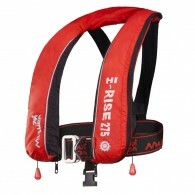 Newly devloped very compact inflatable life jacket conform to ISO 12402 / 150N inflatable life jacket / High abrasion resistant outercover / Quick burst zip closure / Inflation system operational readiness indicator window on the back / Service date information window on the back / Crutch strap / Ma..
SUPERIOR BENEFITS Designed to combine optimum safety and comfort Ideal for offshore extreme use with foul weather clothing and equipment The shape of the bladder is tailored to the contours of the wearer to create a snug secure fit whilst giving supreme in-water performance Stylized horseshoe de.. 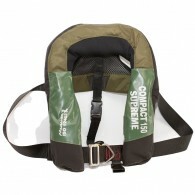 The Compact Supreme 150 Heavy Duty Wipe clean lifejacket is ideal for heavy commercial fishing applications especially for potters, crabbers, lobster fishermen and also suitable for construction workers. 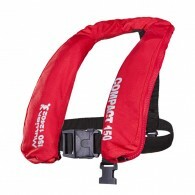 KEY FEATURES High abrasion resistance fabric reinforced with additional hi.. 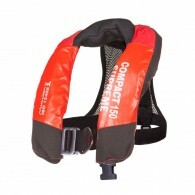 The Compact Supreme 150 Heavy Duty Wipe clean lifejacket is ideal for heavy commercial fishing applications especially for potters, crabbers, lobster fishermen and also suitable for construction workers. 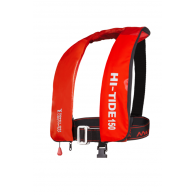 KEY FEATURES High abrasion resistance fabric reinforced with additional high abras..
SUPERIOR BENEFITS This Wipe Clean PVC reinforced version is ideal for heavy duty industrial use KEY FEATURES Durable waterproof fabric Durable wipe clean PVC reinforcement Zip fastening cover Stainless steel interlocking belt buckles Adjustable waist belt Detachable crutch strap Inflati..